I would like to welcome all esteemed investors to explore the irresistible opportunities provided at the Tanzania Export Processing Zones Authority (EPZA) through our Export Processing Zone (EPZ) scheme and Special Economic Zones (SEZ) Scheme. EPZA opened its doors in 2006, with effective implementation that ushered in a realistic hope of building a strong export- led economic development from March 2008. 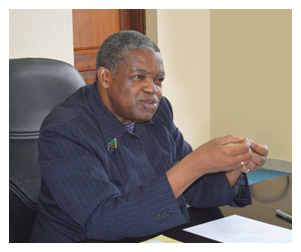 At that time EPZA was mandated to coordinate and promote the Export Processing Zones (EPZ) regime in Tanzania, a scheme which attracts investors undertaking processing and manufacturing activities for export purposes. In order to increase Tanzania's competitiveness in attracting more investors, EPZA was mandated to coordinate the broader SEZ scheme in 2011. The scheme attracts investors in all sectors of the economy and provides flexibility on where to sell their products. With these developments, EPZ program is now a subset of SEZ program. We wanted to ensure that EPZ and SEZ schemes provide a complete and comprehensive platform for economic growth of our nation. We are determined to build a semi - industrialised export- led economy and EPZA is committed to lead the way. 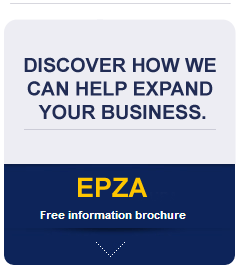 I want to tell you confidently that EPZA gives you the unmatched opportunities to realize and explore your entrepreneurial ambitions. We believe in supporting our investors' aspirations. As one of the leading investment avenues in East Africa, we are keen on cultivating a suitable investment climate that will help you capitalize on untapped opportunities in Tanzania. Our country enabling policies, unmatched peace and political stability, availability of raw materials and strategic location will support establishment and success of investments in our Special Economic Zones. WE WELCOME YOU TO INVEST IN TANZANIA THROUGH EPZA.